﻿In order to develop new anti-cancer treatments, researchers need to identify target molecules that are responsible for controlling tumour growth. 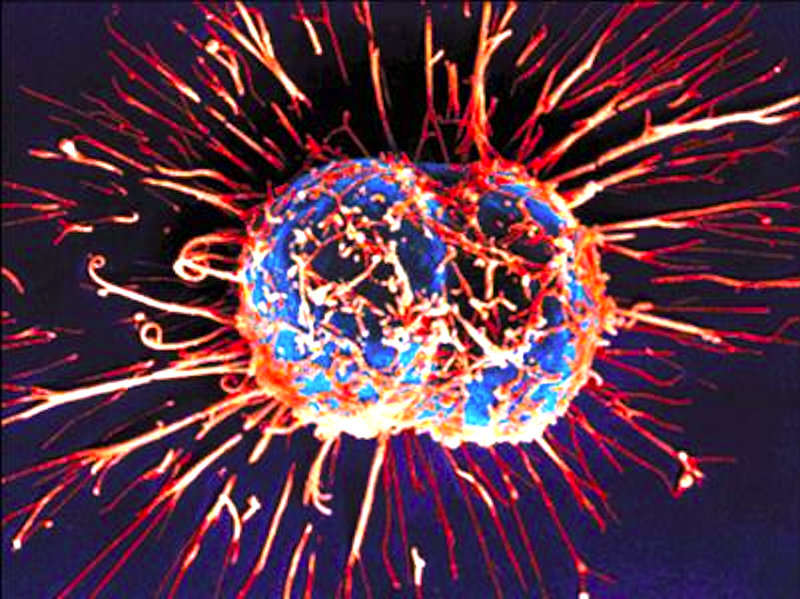 Two such molecules are JNK and p38, which both regulate cell multiplication and cell death. In a new project, published in Cell Reports, scientists have investigated the role of a protein controlled by JNK and p38, known as ATF2, in tumour development. Previously there have been conflicting findings in terms of whether JNK and ATF2 suppress or encourage tumour growth, and the researchers wanted to clarify their role in the development of cancer. The researchers investigated a model of liver cancer and demonstrated that ATF2 appeared to suppress tumour growth. Further study showed that this process was dependent on JNK. They then examined molecules controlled by ATF2 and found that some of them were present in reduced levels in a number of different human tumours compared with normal cells. This result suggests that ATF2 function is impaired during tumour development and indicates that its tumour suppression role may be more widespread than just liver cancer. "We have demonstrated that JNK and ATF2 have a role to play in tumour suppression. Additional research is now needed to determine what causes changes in the levels of these ATF2-dependent molecules in tumours", the researchers added. Originally posted by University of Manchester.